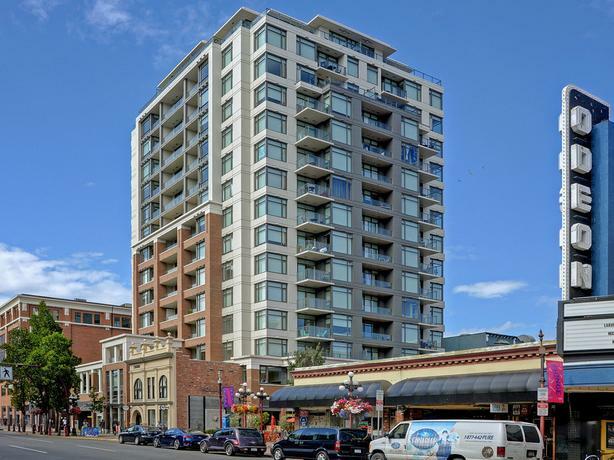  Log In needed $599,900 · Downtown Luxury Living! SOUTH WEST CORNER 2 BED, 2 BATH SUITE AT THE ERA WITH PARKING! Zoning & Bylaws allow for use as AIRBNB & unrestricted rentals! 2015 Steel & Concrete tower built by highly regarded Concert Properties. Custom millwork details including warm toned wood cabinetry, quartz countertops with glass tile backsplashes, and stainless steel appliances. Master bedroom includes a generous 4 pc ensuite. Exceptional amenities include a spacious social lounge with garden terrace, BBQ & firepit, a massive bike storage room, secure underground parking, & full-time resident manager. Enjoy all the best Victoria has to offer, with endless options for dining, entertainment, shopping & recreation in the heart of the city; a vibrant & exciting lifestyle and an exceptional investment opportunity! The best of the city right at your fingertips! Easy to View - Call Today!